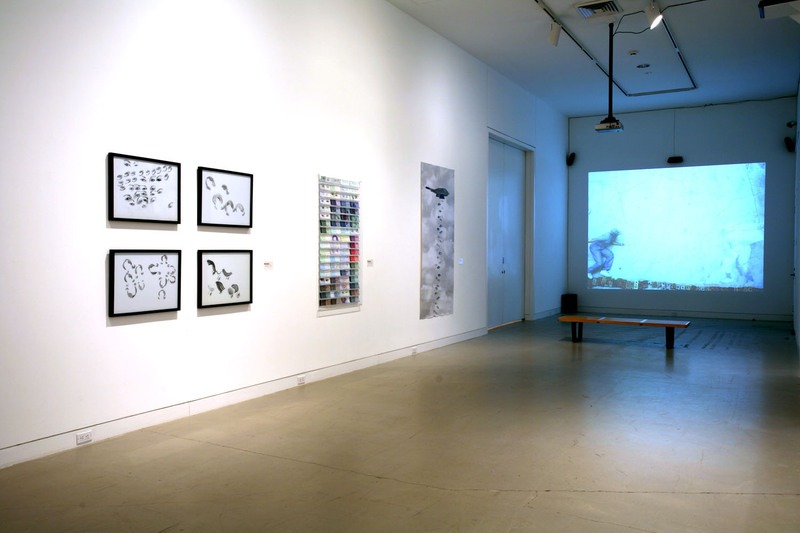 Disorderly Conduct: Art in Tumultuous Times included works from 2001-2008 by an international group of artists who addressed the political turbulence, cultural malaise, and general instability of the post-9/11 world. 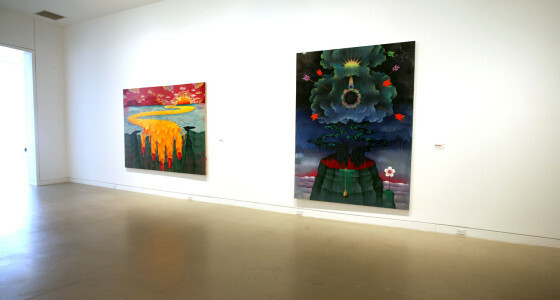 I curated both from the Orange County Museum of Art collection and works borrowed specifically for this exhibition. 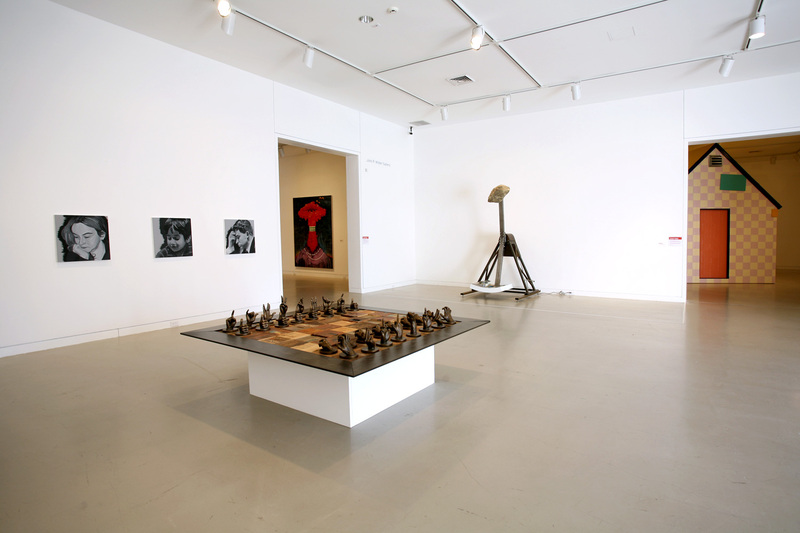 Glenn Kaino and Robin Rhode both use the language of urban culture and competitive games to reference social and political disorder. 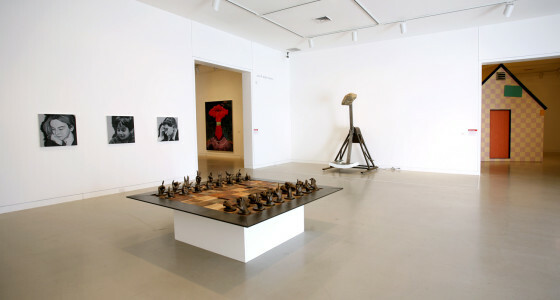 Kaino’s Learn to Win or You Will Take Losing for Granted (2005), an over-size wooden chessboard constructed from ammunition crates, with pieces cast in light and dark bronze into hands with gestures that are either positive (e.g. thumbs-up and peace sign) or negative (a raised middle finger and a gang salute) as he alludes to the complexities of a world that cannot simply be reduced to good versus evil. 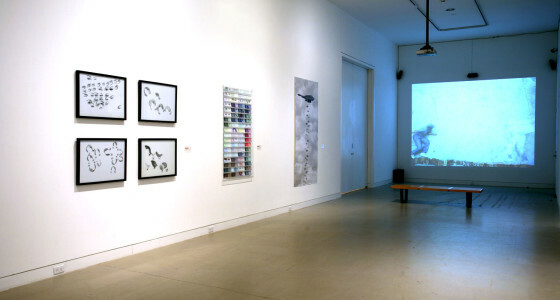 In Rhode’s projected animation Color Chart (2004–6), a white-clad figure combats a series of figures dressed in other colors. Alluding to South Africa’s violent history of apartheid and to racial tension; Rhode also referenced Gerhard Richter’s color charts, graffiti art and debates about paintings. 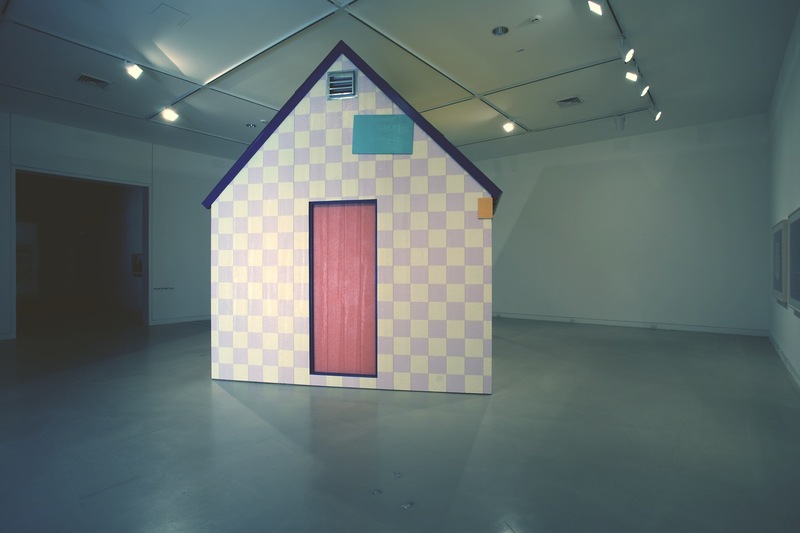 Daniel Joseph Martinez’s House That America Built is a precise reconstruction of the Unabomber’s shack, painted in the cheery hues of Martha Stewart’s signature paint collection. Juxtaposing a mathematician-turned-terrorist and the country’s preeminent “lifestyle expert”—convicted and imprisoned for their respective crimes of murder and greed—Martinez alludes to hidden truths, subversion, and consumption on multiple levels, as he comments on extreme ideologies within our culture today. Rodney McMillian is also fascinated by the disorderly conduct or criminal behavior of notorious public figures. In his video The Way We Were, from the Michael Jackson Project, he is seen in a close-up view wearing a t-shirt and clown makeup as he sings the song written and originally recorded by Gladys Knight but popularized by Barbra Streisand. 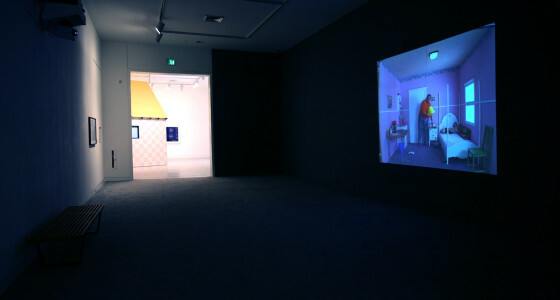 Recalling minstrels, drag queens, and Jackson’s ongoing self-reconstruction, McMillian’s simple performance raised complex questions regarding race and racism, gender and sexuality, and media exploitation of celebrities behaving badly. 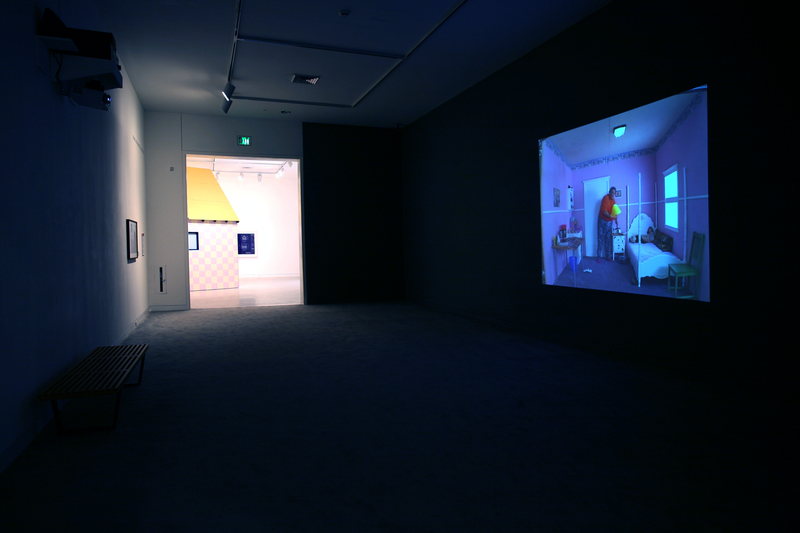 Other artists used absurd, surreal humor as a means to counteract world disorder. 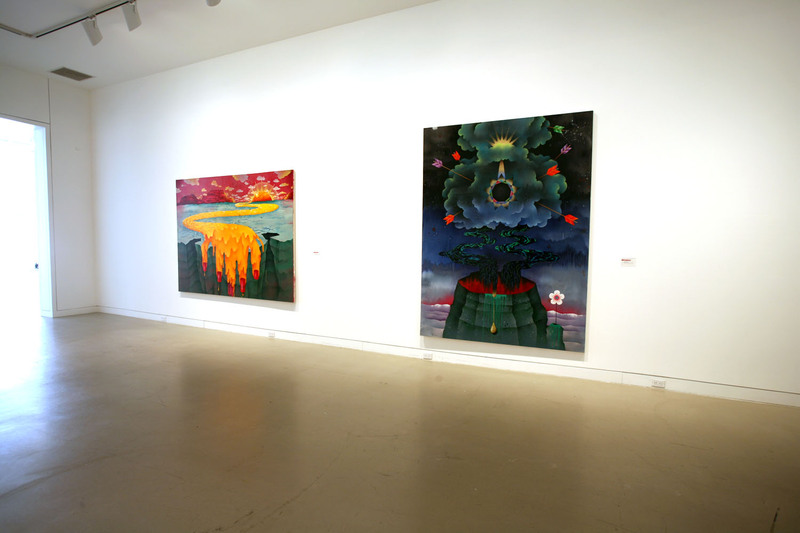 Pearl Hsiung’s paintings, such as Tidal Wretch referencing the 2004 South Asian tsunami, are influenced by surrealism, manga, and fantasy film with hallucinogenic colors and playful graphic forms that belie the environmental or natural disasters they often represent. 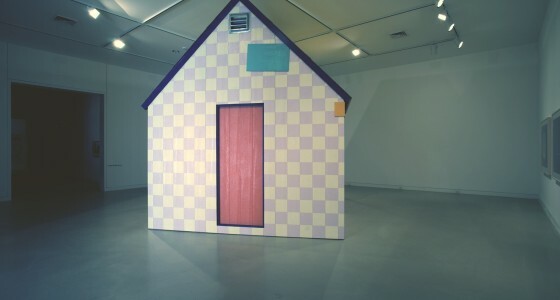 Martin Kersels’s video Pink Constellation (2001) documents what happens when a full-size bedroom, decorated to reflect the taste of a teenage girl, is quite upended and slowly revolved—a humorous metaphor for a world turned upside-down. 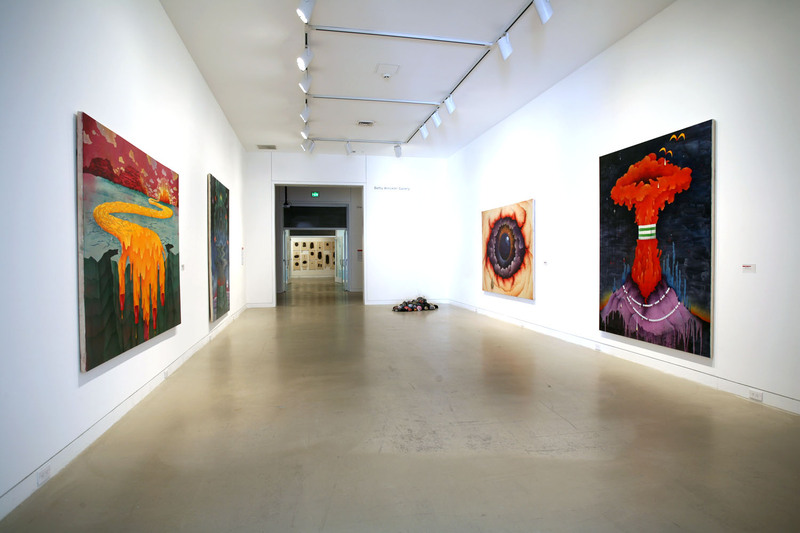 Mike Kelley’s large-scale installation includes a massive rocket projectile and a marquis with the plastic letters spelling out the words Gospel Rocket, also the title of the work. Surrounding these objects are videos with re-enactments of students engaged in “extracurricular activities” culled from a high school year book. Ranging from innocent plays and follies to pagan rites and hazing, these nostalgic, sometimes aberrant adolescent rituals mirror those in contemporary culture. 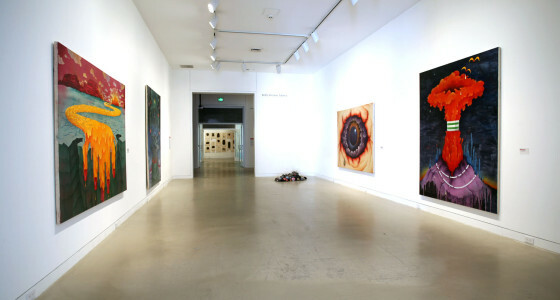 Whether they live in Africa, Europe, or the United States, the artists in Disorderly Conduct: Art in Tumultuous Times used iconic structures, striking images, and performance to poignantly comment on the extreme behavior and bifurcated social and political ideologies operating within our global culture today.